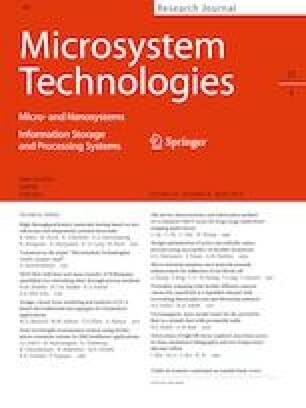 The authors report a novel MEMS capacitive sensing structure that utilizes a single-layer electroplated gold to achieve simultaneous sensing of biaxial acceleration with low cross-axis sensitivity. The capacitive sensing structure is designed for the in-plane biaxial accelerometer with high frequency ratio and low-g acceleration range. The etching precision of the large proof-mass suspension is guaranteed by the design of detachable supporting islands. Then, different locations are explored in arranging the capacitors, for which the corresponding estimation algorithms are derived. Finally, the proposed structure was fabricated under the commercial MicraGEM-Si platform based on silicon-on-insulator (SOI) technologies. In summary, the structural and fabrication designs of the MEMS capacitive sensing structure solve the problems in biaxial independent sensing, while offering: 3D connectivity of electrodes using planar fabrication technologies; large proof-mass fabrication precision; identical mobility range in all in-plane directions; and sensing algorithms for any regular polygonal shape. We would like to acknowledge CMC Microsystems Inc. for the provision of products and services that significantly supported this research work. NSERC’s support through Grant No. RGPIN-2015-03864 is dutifully acknowledged. NSERC is Canada’s Natural Sciences and Engineering Research Council. FRQNT’s support through the New University Researchers Start-up Program is also gratefully acknowledged. FRQNT is Fonds de recherche du Québec–Nature et technologies. The MEDA scholarship from McGill University supported the first author during her PhD studies on biaxial accelerometers. The second author acknowledges McGill University’s support through a James McGill Professorship (Fund Number 100711) in Mechanical Engineering.